This is an updated tutorial of my Windows 7 here. Note, in Windows 8 it is safe to use the DRIVERS flag, the Windows 7 bug is fixed in Windows 8. All of these will shutdown, hibernate, or standby your box, and then reboot to finish tracing. After you login to your PC, the new startscreen is shown and you have to click to the desktop to see countdown timer. Again, wait until the timer finishes. Afetr you did this you should now have some tracing files in C:\TEMP. if possible, you should always use the new Fast Startup/ hybrid Boot of Windows 8. At the end of this guide you'll learn how to analyze this new mode. Windows 8 includes a new boot mode called Fast Startup or Hybrid Boot. I've already explained how this mode works. First Windows shuts down the users, next Windows hibernates the kernel with all drivers and the services. Next the PC shuts down. Now Windows boots again, read the hibernation file and resumes all services and drivers and next you go to the Logon screen. Note, that the file only shows the logoff of the user sessions. 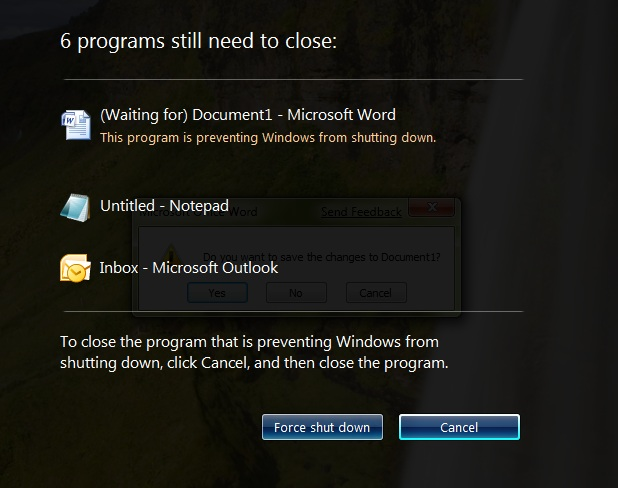 Here check which programs take long to close. The FlushVolume is writing open files/cache to the HDD. Now the same applies like Hibernation. Look which services or drivers take a long time to suspend. Also note, that those values are in µs! When you compare it to the normal boot, you see some differences. The PreSMSS and SMSSInit Subphases are gone. This is replaced with SystemResume. 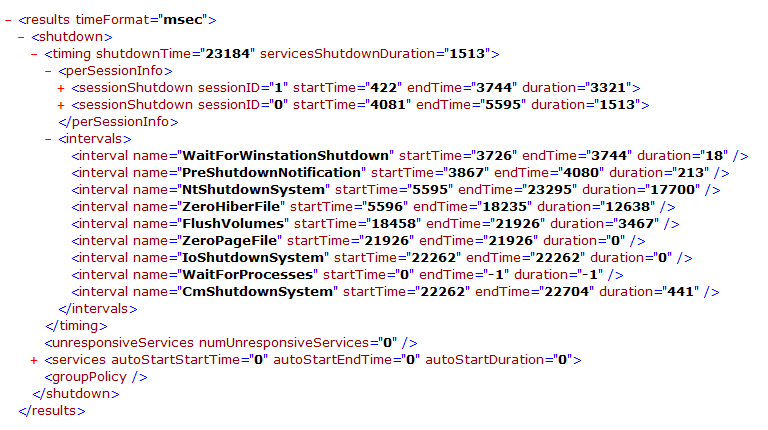 If this takes a very long time, open again the summary_hibernation.xml and look for devices are services which take long time to resume. The rest of the boot is the same like the normal boot. If WinLogonInit are long, check the Group Policies and if you're restoring of network connections. And if PostExplorerPeriod is long, you also start too many desktop programs or your new Windows 8 apps take too long to load the data to show in the live tiles. I hope, this helps you to fix your Performance issues with Windows 8.
ok. Do you use the new Fast Startup? Since I installed RTM, it takes longer time to boot into Windows. From the boot menu if I choose RP it logs in normally. But if I choose RTM it seems that the computer resets once before it boots into the Start Screen. Perhaps I will remove RTM soon. upload the traces so that I can take a look at them. There's something I want to make clear first. When I turn on my computer, I see the booting screen and then the boot menu. If I choose RP, the default OS, it boots into the Start Screen quite fast. If I choose RTM, the monitor will turn off then turn on again, and the booting screen will display one more time before I can see the Start Screen. That's why I think it resets before booting. I disabled Hibernation right after I finished installing W8 RTM. Shut down time is normally quick. So, only boot time is what I care for. I guess if I remove RTM, the problem will be solved. Now, your tutorial is a little complicated to me. Not sure if I can follow it to the end or not, but I'll try. I'm just afraid I can't post the trace file very soon. There you are. Hope I did it right. the boot is fine. 20s to metro or desktop and 30s until everything is loaded. Activate hibernation again and make a trace of the hybrid boot. The command promp doesn't allow me to copy and paste. It's a long long long text to type and you ask me to do it again??? I don't intend to use RTM for long, so just a few needed applications were installed on it. There is almost nothing to do there and I hate it if I have to boot into it! I'll do it tomorrow night and edit this post with the attachment. Bye for now, Andre. You can make a rightclick in the CMD and select paste to insert text. I decide to make a new post instead of editing the old one! 23s to the UI and 28s to be fully booted. Sorry I didn't read the tutorial thoroughly so I posted a wrong file. I'll do it again. Do you ever read your tutorial again, Andre? It's a huge post and I am scared to read through it! Here is the trace again. Hope it is the right file this time.